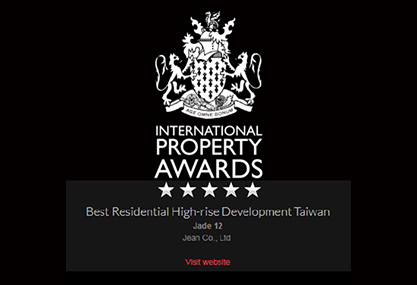 2018.07.18 The JADE Residence / Jade12 project won the golden award of the 2018 FIABCI-Taiwan Real Estate Excellence Awards for best construction quality of low-rise residence. 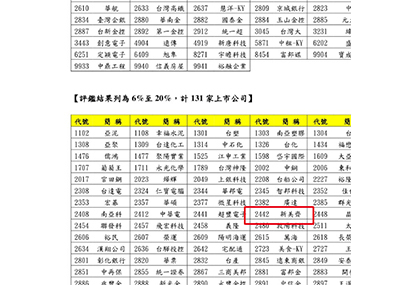 2018.04.30 JEAN GROUP is ranked in the leading range between 6% and 20% of 2017 Corporate Governance Evaluation (TWSE), which is one of the best among the listed construction companies. 2018.02.11 JEAN GROUP was ranked 329 of FT 1000: High-Growth Companies Asia-Pacific, compiled with the Financial Times’s research partner Statista. 2017.11.7 The JADE Residence / New Xiangshan project won the highest honor of the 19th National Golden Award for Architecture for best construction quality of middle-rise residence. 2015.11.16 The community managed by JEAN Property Management Co. won the first place for 2015 Taipei Outstanding Residence Awards of small community. 2014.10 Congratulations!! The JADE Residence / New Xiangshan project won the highest honor of the 16th National Golden Award for Architecture for best planning design and best quality. 2014.06 The JADE Residence /New Xiangshan project won the FIABCI-Taiwan Real Estate Excellence Award for the best planning design in the residential category. 2013.12 Our subsidiary company JET Optoelectronics Co.’s GBJO003 patent has been granted, patent ID is 8601518. Corporate bonds transferred into common Stock NT$ 17,125,000; surplus turn Capital NT$ 73,530,000; Capital reached NT$ 1,724,655,000. In December, Mr. LIN, CHUAN-CHIEH was appointed as President. 2013.08 Our subsidiary company JET Optoelectronics Co.’s AND-F1010 product won the 2013 AMPA Innovative New Product Award. 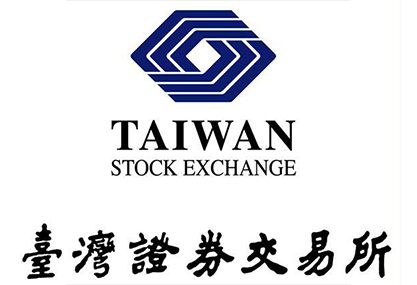 2013.03 Second time domestically issue secured convertible bonds in the amount of NT$ 400,000,000. 2012.01 Invest and establish subsidiary company JEAN Property Management Co.
2010.05 Changed company’s Chinese name to “新美齊股份有限公司”, and added business category including “property management” and “construction and development”…etc..
2010.03 In March, JEAN Group signed with BOE Co, Ltd, selling our subsidiary company Jeffery Inv. Limited’s 100% of K-tronics Electronics (Suzhou) Co., Ltd.’s shares as well as computer monitor and television related business sale and purchase agreement in Taiwan. We also signed with K-Bridge Electronics Co., Ltd. a sale and purchase agreement, purchasing JET Optoelectronics Co. Ltd.’s (originally E-Bridge Optoelectronics Co. Ltd. ) 96.91% of shares. 2007.08 Listed in China's business "Red List"
2007.07 Awarded as China's first "Integrity Corporation"
2003.04 Reinvested in JEAN Optoelectronics (Shanghai) Co. Ltd.
1999.02 JEAN renamed as "JEAN CO.,LTD"
1992.06 JEAN Co. re-named as JEAN CO., LTD.
1989.05 Officially establish "Taiwan Strait Visiting Service Center", provide "Purchase in Taiwan, pick up in mainland China" business service. Operated by "Feichi Co."